To create this high-performance sailboat, which is to be sailed either fully crewed or short handed, Jeanneau enlisted not one, but two renowned naval architects: Daniel Andrieu and Guillaume Verdier. David Andrieu, the naval architect behind the Sun Fast line since its inception, is a proven expert in optimizing for the IRC rating rule, as well as working with the Jeanneau builders to deliver boats of exceptional quality which Jeanneau customers expect. 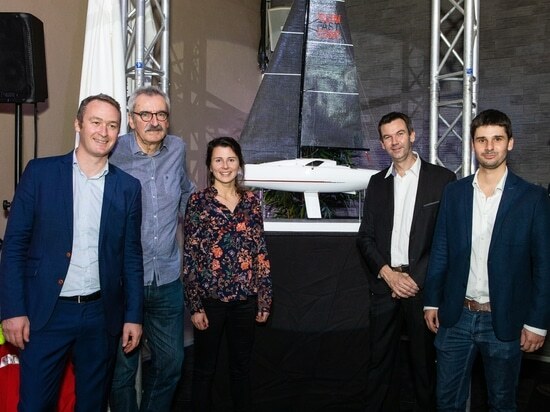 Guillaume Verdier, who is renowned for his work in the America’s Cup and Vendee Globe, will bring a mastery of computational fluid dynamics and finite element analysis to this project, just as he has in the past with other high performance boats, such as the 100’ Commanche and the IMOCA 60 Hugo Boss. The complementary nature of these two experts enables the Sun Fast 3300 to be balanced and versatile, while also delivering IRC optimized performance, racing either inshore or offshore. The innovative hull of the Sun Fast 3300 boasts a double concave, forward and aft. These curved hollows on the center line enable an improved distribution of dynamic pressure, while limiting drag on the hull and minimizing the surface below the waterline for greater performance. The structure and shape of the keel, carefully studied on this new Sun Fast, also enable a reduction in drag and an optimized center of gravity. The result: a light, quick, reactive Sun Fast 3300 ready to launch, spring of 2019. In a unified design, the hull features maximized buoyancy aft, so the rig has been moved aft as well. The maximum area square top main is controlled by a long traveller and twin backstays for improved upwind sailing. This new Sun Fast 3300 was launched yesterday in Paris. Follow along on the Sun Fast Page in the next weeks and months for news, as the naval architects make announcements. 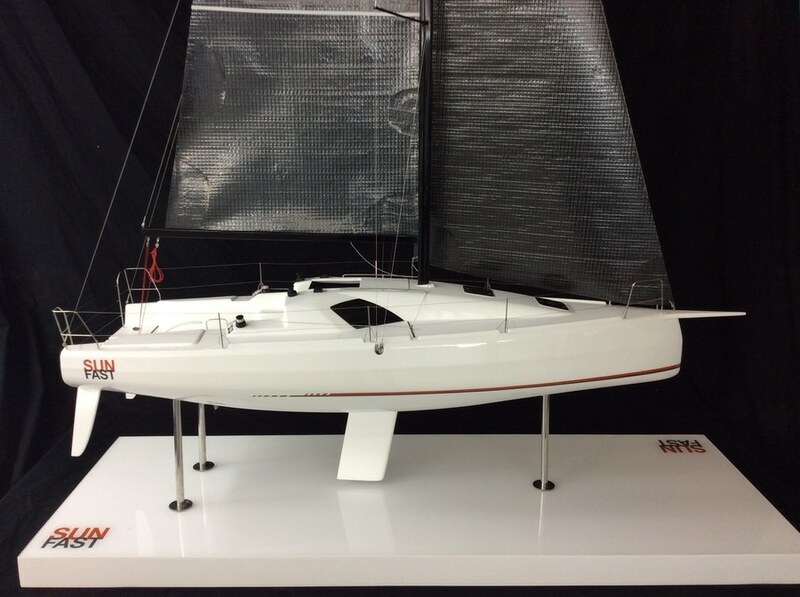 The Sun Fast 3300 will be launched in the spring of 2019. The long list of international awards won by Sun Fast 3200s and Sun Fast 3600s is impressive, with victories in such iconic races as the Sydney Hobart, the Spi Ouest France, the Transquadra, the Giraglia, the Commodores’ Cup and the Caribbean 600. Today, nearly 400 Sun Fast 3200s and 3600s sail in waters around the world. To left to right: Antoine Chancelier-Jeanneau, Daniel Andrieu-Andrieu Design, Véronique Soulé-Guillaume Verdier architecture naval, Hervé Piveteau-Jeanneau et Basile Mayet-Jeanneau.